William J. Placzek is an Assistant Professor in the Department of Biochemistry and Molecular Genetics at the University of Alabama at Birmingham School of Medicine. He is also the Director of the Central Alabama High-Field NMR Facility, Co-Director of the UAB Comprehensive Cancer Center Structural Biology Shared Facility, member of the UAB Comprehensive Cancer Center (CCC), and the Center for Structural Biology. The focus of his research is cancer drug discovery using synthetic peptides and structure-based drug design. Dr. Placzek received his B.A. degree in Chemistry from Washington University in Saint Louis in 2002 and his Ph.D. in 2007 from the Scripps Research Institute under the supervision of Dr. Kurt Wüthrich. During his postdoctoral work in Dr. Maurizio Pellecchia's group at the Sanford-Burnham Medical Research Institute, he worked on the development of peptide and small-molecule inhibitors of the anti-apoptotic Bcl-2 family of proteins and peptide-drug conjugates targeting the ephrin family of proteins. 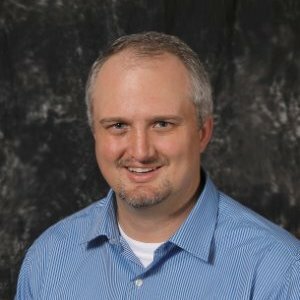 He joined the UAB faculty in 2012. Anti-cancer target validation and structure-based drug discovery. The development of cancer therapeutics targeted toward critical components of cell signaling pathways exploited during oncogenesis, i.e. apoptosis or gene regulation, will remain one of the primary goals of translational cancer research for the foreseeable future. Success will necessitate the characterization of high-impact protein targets for binding sites amenable to inhibitor development. The primary focus of my research group is the discovery of peptide and small-molecule inhibitors of cell signaling proteins involved in cancer gene regulation and apoptosis resistance. Our goal is to utilize a multidisciplinary approach employing structural biology, synthetic peptide chemistry, NMR and cell based high-throughput drug screening, peptide phage display screening, pharmacophore identification and cell biology studies to better understand key mechanisms amenable to cancer therapeutic development. Mcl-1, a B-cell lymphoma 2 (Bcl-2) family member and a key apoptosis regulator involved in the progression and chemotherapeutic resistance of human cancer and Ubc9, the sumo E2 ligase that regulates functional activity of a wide range of cancer related transcription factors, are of particular interest to our group.